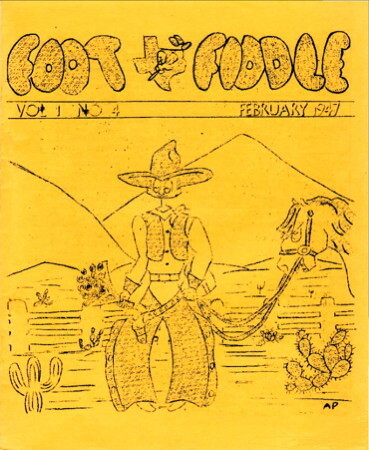 This journal was started in 1946 by Marlys Swenson (later Marlys Waller) and Anne Pittman, joined by square dance folklorist Olcutt Sanders as another editor. It is among the earliest square dance magazines. The founders sold the publication to Herb Greggerson in 1949; he later passed the magazine on to Bertha Holck as publisher. Holck co-edited with Greggerson starting with Volume 4, Number 1 (November 1949) issue and began sole editorship with the Volume 8, Number 9 (November 1954) issue. 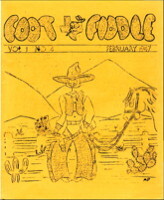 During the period of its existence this "magazine of Texas square dancing" published many informative news items and serious articles. The magazine ceased publication in 1957. Volume 3: number 9 (1949). Review of Hillgrove's Ball Room Guide and Practical Dancer by A.P.